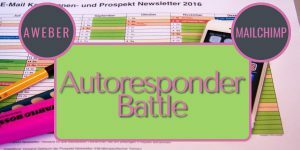 Autoresponders – what are they? An autoresponder is a computer program designed to automatically respond to emails even in the absence of the mailbox owner. IYou may have used a type of autoresponder when you have gone on vacation and you’ve set up your email to send an “on vacation” response back to emails you receive while out of the office. However, full-service autoresponder software are powerful tools for companies who use email as a primary marketing tool to reach their customers and potential customers, especially for list building and email marketing. Using the software only requires that you carefully establish your response messages (welcome, confirmation, gift offering – maybe – and unsubscription message) to your satisfaction and set your autoresponder software to send it at a given time after receiving email subscribers from potential customers. Autoresponders also produce reports of email campaigns for number opened, bounced, Being a useful email marketing tool, it is handy is getting to people and thanking them for business patronage. Reports and Stats can be analized for each campaign. Aweber and Mailchimp are two of the most used and top-ranked email autoresponders used in email marketing. Using autoresponder software, companies can collect thousands of emails for their mailing lists of subscribers which may be used for sending out regular articles, tips, special events, newsletters and more. Companies which use autoresponders can be publishers, restaurants, musical groups, home-based businesses which produce their own products and online affiliate marketers. Subscribers can opt-in to these mailing lists with either single or double opt-in methods – what does this mean? Using an email subscription service that has Single opt-in (SOI) allows for an email address to be added to your mailing list without requiring the owner of that email address to confirm definitively that they knowingly and willingly opted in. Using an email subscription service that has Double opt-in (DOI), or confirmed opt-in (COI) service, a new email address is only added to your mailing address after the email address owner clicks a confirm subscription activation or opt-in confirmation request email that’s sent to them after they opt-in via a form or checkbox. This process helps catch typos and stops spambots. And because AutoResponders help you work faster and more efficiently, they can help you make more money as an affiliate marketer as well. An autoresponder can truly be a very useful and POWERFUL TOOL when used properly. When do you need an autoresponder? If you are a blogger or an online business, you need to begin collecting emails for your “LIST” very soon in the process of building your blog site. Your list needs to be the emails of your visitors and readers who are interested in the subject (niche) of your blog or the products of your business and want to keep up with your blogs or the products you offer, as well as other announcements you would like your potential customers to know about. Once you have created the list of Subscriber emails from signup forms, you can ‘reach out’ to them by email. Your email campaign reaching their “inbox” reminds them of your blog or your products. Over time, your LIST can become huge, with thousands and thousands of potential customers you can reach via their emails which they willingly gave to you by subscribing to your mailing list. Over the years, there has been quite a few autoresponder software developed like Aweber, and MailChimp, which stand out as two of the top utilized autoresponders in the world. Other software such as iContact and Constant Contact, Mailerlite, Getresponse and more are also popular autoresponders. With the high functionality and performance of these two top autoresponders (Aweber, and MailChimp), there has been a constant debate over which one is better and more useful. This has led to many comparisons between top autoresponder software with Aweber and MailChimp topping the list. Let us compare what each has to offer. Aweber’s pricing is easy to understand and you basically pick the number of subscribers you expect. Aweber has no Fee plan but does have a 30-day trial which is fully functional. on top of the standard ‘Growing Business’ costs referred to above, you have to pay $199 per month. Overall, the MailChimp FREE plan can be very appealing to startup marketers with less money. But the features in Aweber’s Pro plan are very nice too. In automation, emails are sent to your mailing list in a predefined sequence. User behavior determines which emails are sent next based on criteria such as subscriptions, un-subscriptions, opens, clicks, purchases abandoned purchases, etc. One of these criteria will trigger the sending of an automated email. MailChimp’s has a very nice marketing automation feature which makes sure your emails get to the right people at the right time. You can target customers based on behavior, preferences and previous sales. You may also trigger a series of emails with a single API request and use its built-in segmentation to build custom rules. MailChimp Its email automation is very limited and is not sufficient especially for larger email lists or businesses. Aweber’s automation uses its drag-and-drop campaign editor. You can tag subscribers and trigger campaigns based on the links they click and the emails they open. Aweber allows for personalized welcome emails, educational courses, lead nurturing campaigns and more! AWeber’s email automation feature is more robust compared to MailChimp’s. Aweber’s 700 templates vastly exceed MailChimps. With Aweber and Mailchimp both, you are allowed tweaking the templates and/or coding your own. Note: Both Aweber and Mailchimps templates are all responsive now so they are great for different mobile devices. MailChimp gives you much more freedom in designing your signup forms, especially the popup forms, while Aweber wants you to use one of their pre-done forms unless you want to do a lot of time-consuming tweaking yourself. Aweber allows you to create signup forms that can be embedded or added to your website by just copy and pasting. And if you have an existing email list to move, you can import existing email lists directly to AWeber in just a few clicks and best of all, your email subscribers do not need to opt-in again. MailChimp allows for you to have only one signup form per list, whereas with Aweber, you can have as many forms as you want per subscriber list and you can track the performance of each one separately. But with Mailchimp, all signup form code is the same for a given list as is the CSS and so you can’t test different form designs to see which works better. MailChimp offers a Regular email campaign or a plain-text alternative. The plain-text campaign doesn’t allow pictures or formatting. The A/B testing campaign lets you test up to three different variables in a campaign to test which type of messaging has the most effective results. But MailChimp’s Pro plan users can test up to eight variables. Both Aweber and MailChimp will host images for your HTML email campaigns. Aweber has a free stock image library. Keeping tabs on your subscriber growth and decline can help you see what’s working and identify key trends. It allows you to pivot and optimize your content strategy. MailChimp allows you to review your individual campaign reports after every email you send and monitor your audience growth, campaign engagement, and e-commerce performance directly from your account dashboard. MailChimp does not offer support for its free accounts, but you do have its help and knowledgebase you can refer to. it also. Live Chat and phone support is not available. Aweber offers both online Live Chat support and phone support for its accounts. Here’s the killer for MailChimp if you are an affiliate marketer. MailChimp doesn’t allow affiliate links in its emails. If if you are careful and email only links to pages and post on your site, you might get your account put on hold for just using blacklisted words like “make money online” and “affiliate marketing”. Aweber has no problem with Affiliate Links you its emails. MailChimp’s free account is very appealing but its bad attitude about mailing affiliate links is the deal breaker for me. However, if you can be very careful using MailChimp with your niche websites and do not place ANY affiliate links in the emails, you might try MailChimp. Otherwise, Aweber is the one to use for affiliate marketing. That’s why I have decided to use Aweber. I don’t have a huge amount of experience with either of these, but I have dabbled with both of them. I preferred Mailchimp as a beginner as I was able to use them for free as long as I wanted, but I have to say that I think Aweber looks the better service if you have the funds for it. Do you have an opinion on Sumo? I’m currently using it and I’ve had a lot more conversions than with Mailchimp. Wow, that’s absolutely harsh that MailChimp doesn’t allow affiliate links in their emails! I mean, that’s the whole point of having a mailing list in the first place, to sell to them and make money. I knew MailChimp were good but had no idea they didn’t allow that. I’ve used Aweber and I’m still going to use them because at least they don’t send you to the spam folder for putting in affiliate links. Great comparison review! Thank you for this website, you have an absolute wealth of very practical useful information and your descriptions and reviews are thorough and clearly written! I have heard about mailchip and autoresponder, but wasn’t exactly sure how they would work for me, but your explanations have definitely shed light on this for me!